Ten year old tree. Joe Mete the future chief of Dillon Bay. Twenty five year old tree prepared for market. 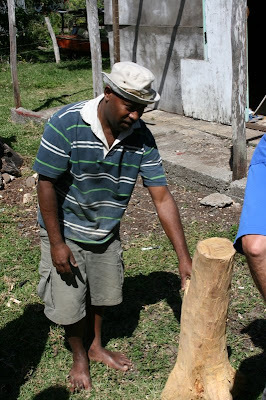 This wood will bring 1000vatu per kilo or about 10USD per kilo (2.2lbs). 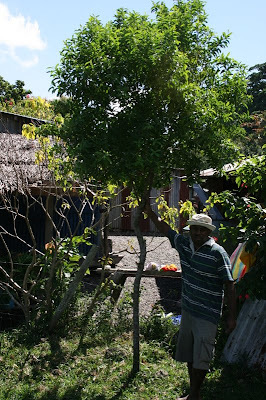 Smaller younger trees bring 600-700 vatu per kilo. 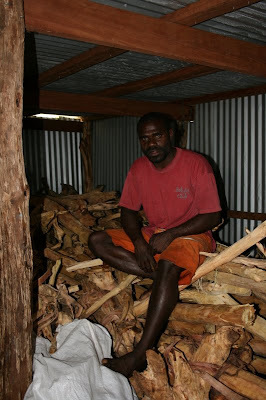 The wood is processed to yield sandal wood oil. 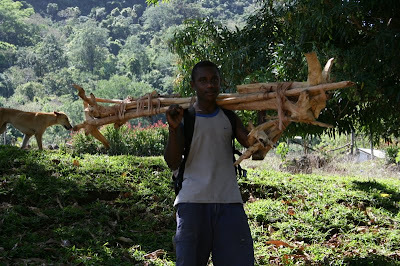 Logger with a days work of wild foraged sandal wood. Good money can be made in the short 3 month open season. Forward thinkers are planting trees for the future and this may make them rich men in 15 to 20 years. Dave's B-day, Dolphin swim & Fish story. 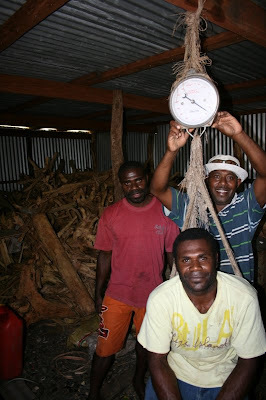 Tanna, Vanuatu 's ten hour check in process.